Good Neighbor Village exists solely because of the generosity and compassion of others. Without the support of our friends and donors, we would not be the place we are today. There are a number of ways that you can support Good Neighbor Village. As a non-profit organization, we accept donations of all shapes and sizes, all of which are considered tax-deductible. For more information, please contact us at (804) 795-9813. 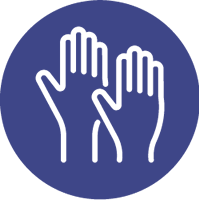 Giving Through Established Organizations There are several organizations that help Good Neighbor Village by receiving donations from individuals, groups and companies. Benevolink, for example, benefits Good Neighbor Village every time you shop with certain companies. Giving Through a Trust Good Neighbor Village can be incorporated into your trust, becoming the recipient of your goodwill for years to come. If you would like to be connected with a professional for more information on trust planning, contact us at info@goodneighborvillage.org. Giving Through Life Insurance Proceeds With an individually-owned life insurance policy, you can designate Good Neighbor Village as a primary or secondary beneficiary. Giving Through an R.M.D. After the age of 70 and a half, the IRS requires account owners to take what is called “Required Minimum Distribution” from certain IRA’s and qualified retirement plans. 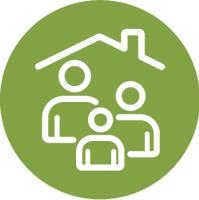 If you are not using these assets for supplemental retirement income, you can use them to purchase a life insurance policy that will pass greater dollar amounts to family members, Good Neighbor Village, or both. You may also donate your R.M.D. directly to Good Neighbor Village. Contact info@goodneighborvillage.org for more information on this method. Giving Through a Bequest A donor wishing to leave assets to Good Neighbor Village may include Good Neighbor Village as the primary or contingent beneficiary on their life insurance proceeds or qualified retirement plans. Giving Through an Estate One may choose to leave a percentage of their estate or a specific dollar amount to Good Neighbor Village. The estate is then entitled to a tax deduction of the amount donated. Items — Kitchen appliances, dinnerware, furniture, books, electronics, vehicles, etc. 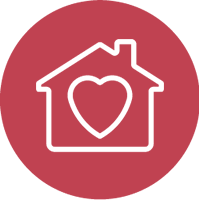 Regardless of how you choose to donate, your donations will ensure that Good Neighbor Village remains a wonderful place to live. Please contact us today for more information on donating or to find legal, financial or accounting services to help with tax and donation advisement.